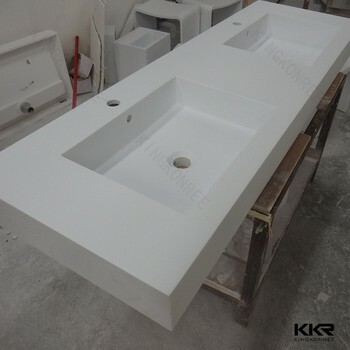 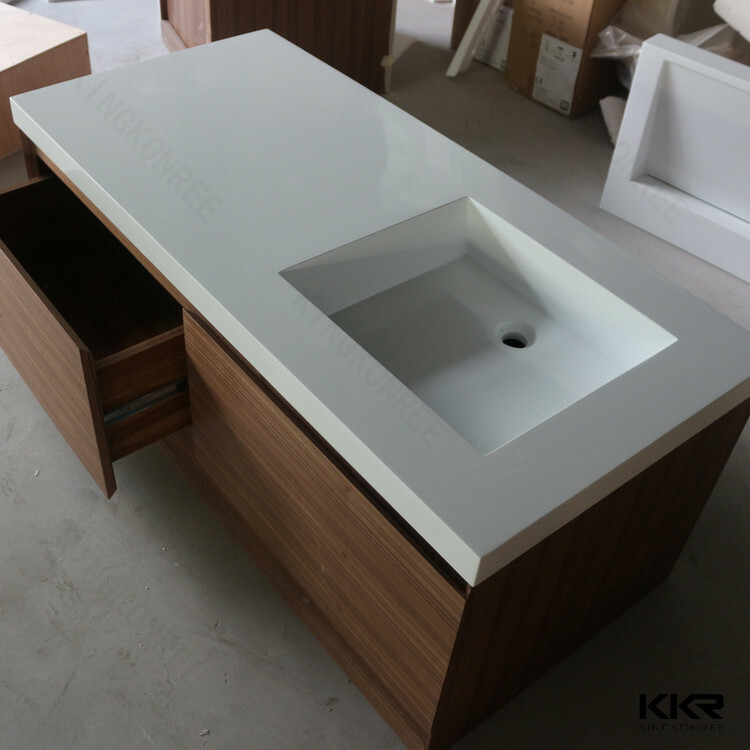 pedestal sink(freestanding basin), cabinet sink(carbinet basin), countertop sink(above counter basin), wall-mounted sink(wall hung basin), undermounted sink(undermount sink) semi-counter sink/basin etc. 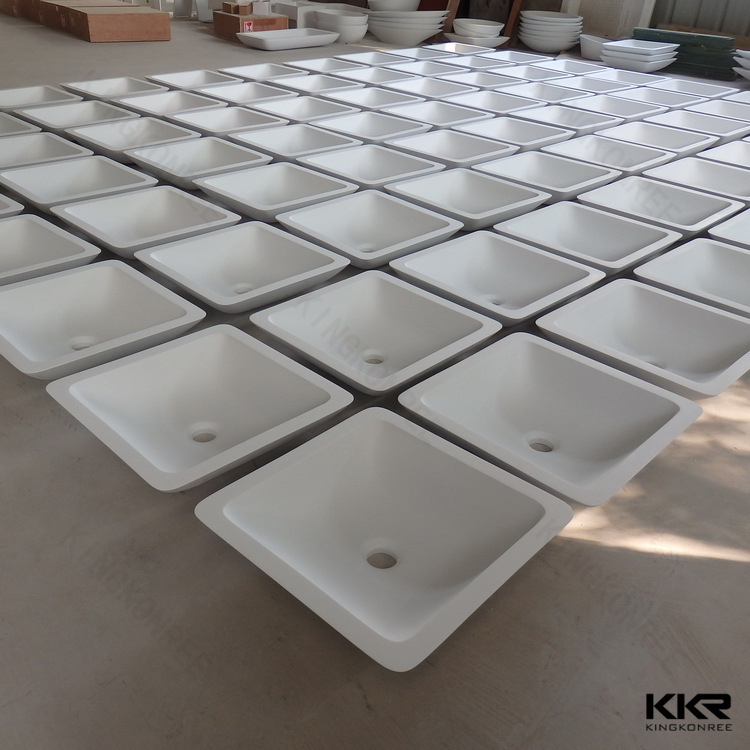 Widely be used in bathroom, hotel, shopping mall, laboratory, hospital and so on. 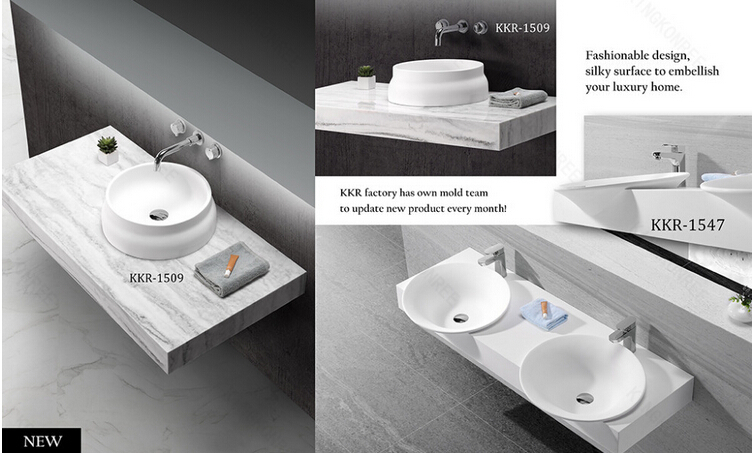 Appear more elegant, noble. 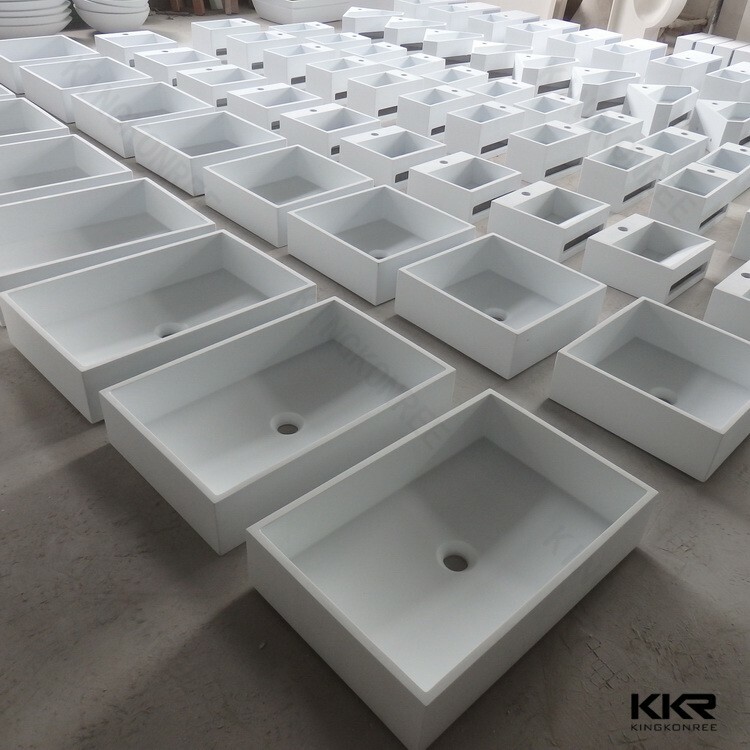 Exported to more than 107 different countries. 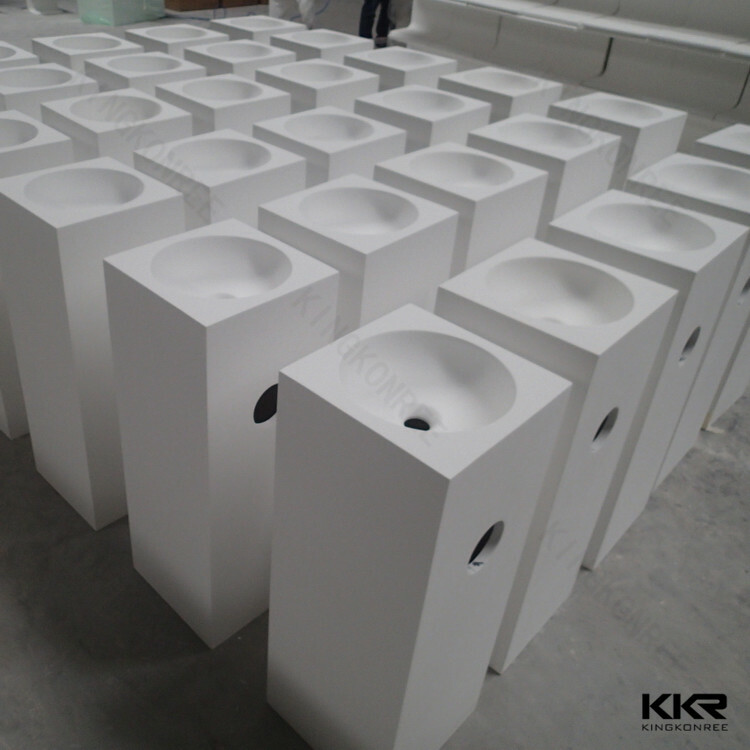 KKR soild surface is a compact, non-porous surface material from a homogenous mix of aluminum hydroxide and mineral fillers. 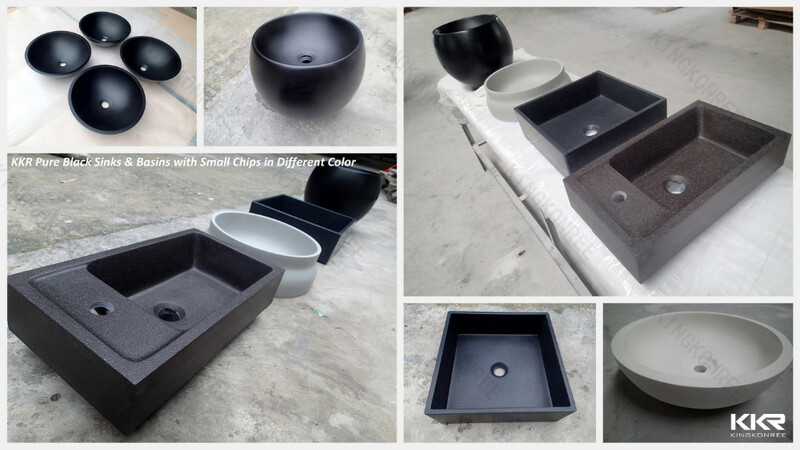 Our product range is very durable and almost immune to common dirt, bacteria or scratches. 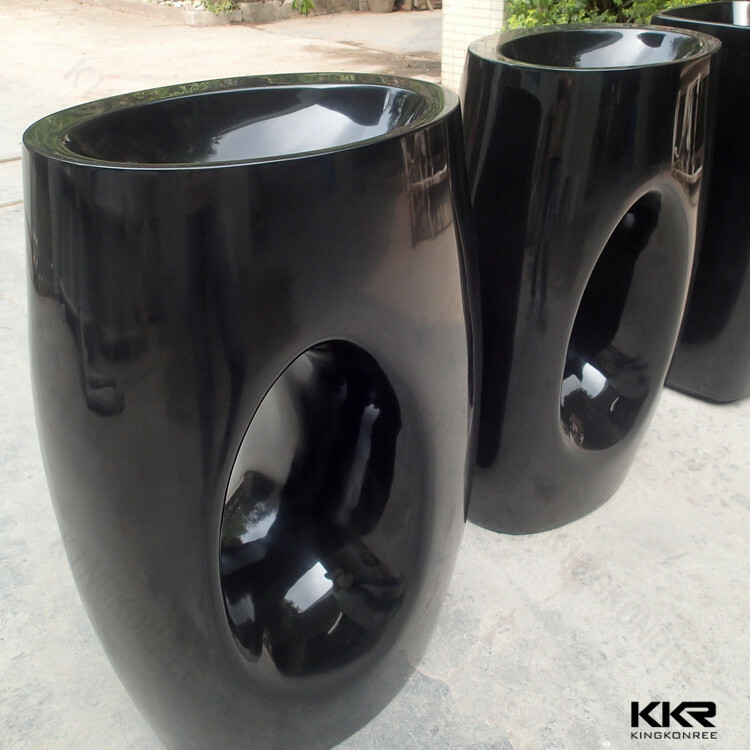 Should any smaller scratches occur in the product life cycle, they can always be easily removed with water and polishing compound. 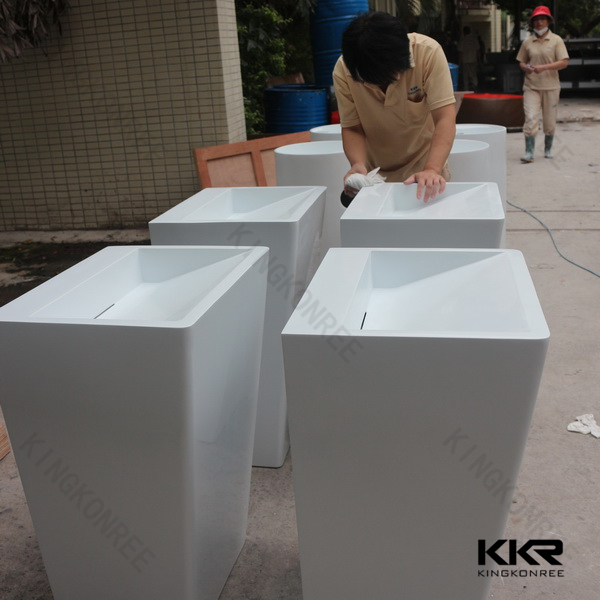 KKR soild surface is 100% nonporous and therefore unaffected by fluctuating moisture,ingression or humidity.This secures a long product life and a smooth appearance over many years. 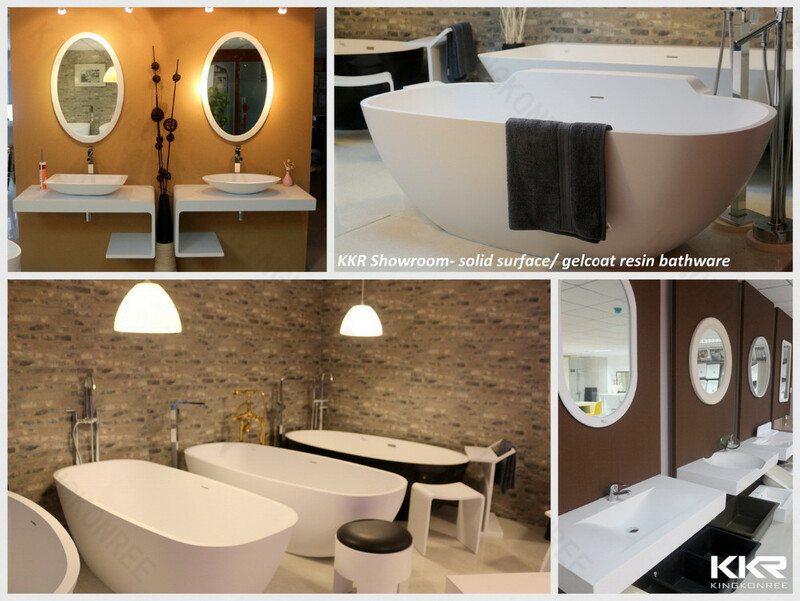 Regular cleaning with common non-abrasive cleaning agents will secure a long surface quality. 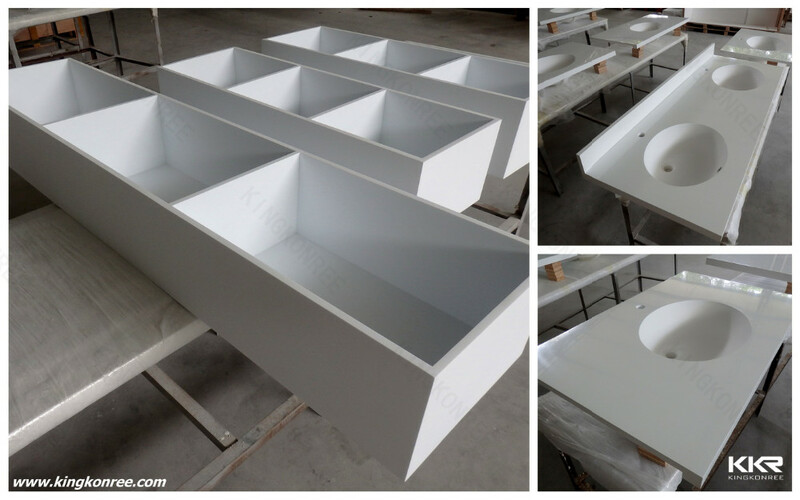 Our material is resistant to deterioration and minor damages due to wrong handling can even be easily repaired. 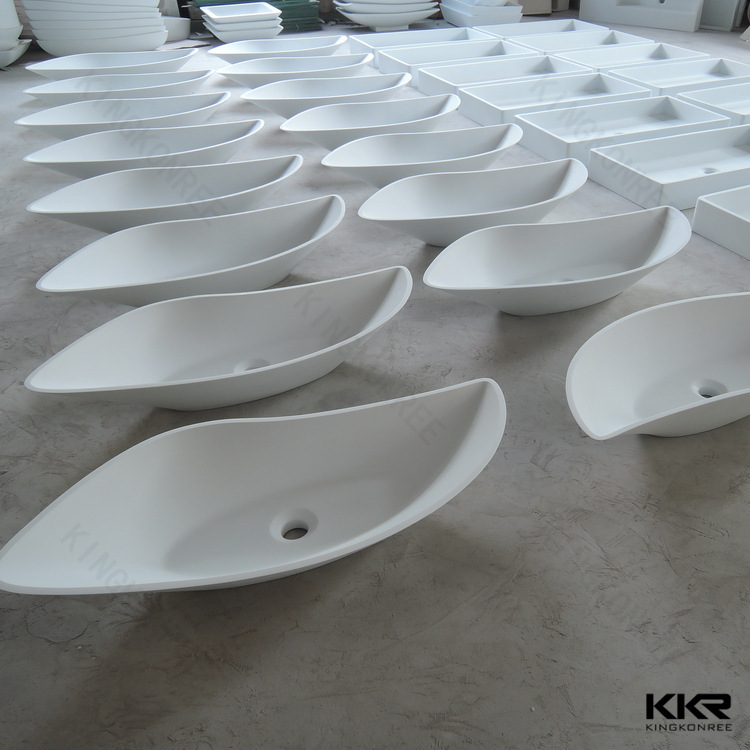 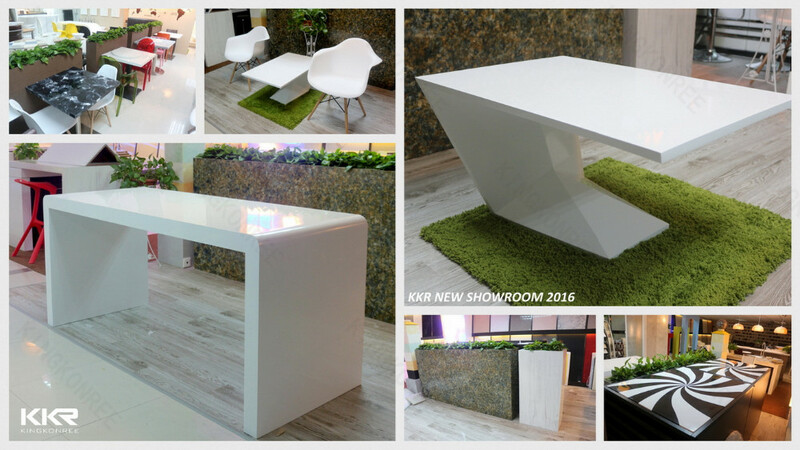 KKR wash basin showroom,welcome to visit.